This is a glossary of common math terms used in arithmetic, geometry, algebra, and statistics. Abacus - An early counting tool used for basic arithmetic. Absolute Value - Always a positive number, refers to the distance of a number from 0, the distances are positive. Acute Angle - The measure of an angle with a measure between 0° and 90° or with less than 90° radians. Addend - A number which is involved in addition. Numbers being added are considered to be the addends. Box and Whisker Plot/Chart - A graphical representation of data that spots differences in distributions. Plots the ranges of data sets. Calculus - The branch of mathematics involving derivatives and integrals. The study of motion in which changing values are studied. Capacity - The amount a container will hold. Centimeter - A measure of length. 2.5cm is approximately an inch. A metric unit of measurement. Circumference - The complete distance around a circle or a square. Chord - The segment which joins two points on a circle. Coefficient - A factor of the term. x is the coefficient in the term x(a + b) or 3 is the coefficient in the term 3y. Common Factors - A factor of two or more numbers. A number that will divide exactly into different numbers. Complementary Angles - The two angles involved when the sum is 90°. Composite Number - A composite number has at least one other factor aside from its own. A composite number cannot be a prime number. Cone - A three dimensional shape with only one vertex, having a circular base. Conic Section - The section formed by the intersection of a plane and a cone. Constant - A value that doesn't change. Coordinate - The ordered pair that states the location on a coordinate plane. Used to describe location and or position. Congruent - Objects and figures that have the same size and shape. The shapes can be turned into one another with a flip, rotation or turn. Cylinder - A Three dimensional shape with a parallel circle and each end and joined by a curved surface. Decagon - A polygon/shape that has ten angles and ten straight lines. 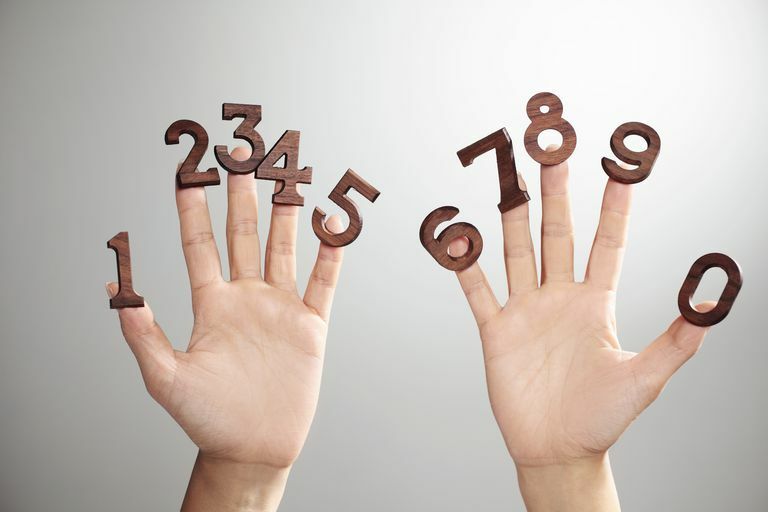 Decimal - A real number on the base ten standard numbering system. Denominator - The denominator is the bottom number of a fraction. (Numerator is the top number) The Denominator is the total number of parts. Diagonal - A line segment that connects two vertices in a polygon. Diameter - A chord that passes through the center of a circle. Also the length of a line that cuts the shape in half. Difference - The difference is what is found when one number is subtracted from another. Finding the difference in a number requires the use of subtraction. Digit - Digits are making reference to numerals. 176 is a 3 digit number. Dividend - The number that is being divided. The number found inside the bracket. Divisor - The number that is doing the dividing. The number found outside of the division bracket. Edge - A line that joins a polygon or the line (edge) where two faces meet in a 3 dimensional solid. Ellipse - An ellipse looks like a slightly flattened circle. A plane curve. Orbits take the form of ellipses. End Point - The 'point' at which a line or a curve ends. Equilateral - All sides are equal. Equation - A statement showing the equality of two expressions usually separated by left and right signs and joined by an equals sign. Even Number - A number that can be divided or is divisible by 2. Evaluate - To calculate the numerical value. Exponent - The number that gives reference to the repeated multiplication required. The exponent of 34 is the 4. Expressions - Symbols that represent numbers or operations. A way of writing something that uses numbers and symbols. Face - The face refers to the shape that is bounded by the edges on a 3 dimensional object. Factor - A number that will divide into another number exactly. (The factors of 10 are 1, 2 and 5). Factoring - The process of breaking numbers down into all of their factors. Factorial Notation - Often in combinatorics, you will be required to multiply consecutive numbers. The symbol used in factorial notation is ! When you see x!, the factorial of x is needed. Factor Tree - A graphical representation showing the factors of a specific number. Fibonacci Sequence - A sequence whereby each number is the sum of the two numbers preceding it. Figure - Two dimensional shapes are often referred to as figures. Finite - Not infinite. Finite has an end. Flip - A reflection of a two dimensional shape, a mirror image of a shape. Formula - A rule that describes the relationship of two or more variables. An equation stating the rule. Fraction - A way of writing numbers that are not whole numbers. The fraction is written like 1/2. Frequency - The number of times an event can happen in a specific period of times. Often used in probability. Furlong - A unit of measurement - the side length of one square of an acre. One furlong is approximately 1/8 of a mile, 201.17 meters and 220 yards. Geometry - The study of lines, angles, shapes and their properties. Geometry is concerned with physical shapes and the dimensions of the objects. Graphing Calculator - A larger screen calculator that's capable of showing/drawing graphs and functions. Graph Theory - A branch of mathematics focusing on the properties of a variety of graphs. Greatest Common Factor - The largest number common to each set of factors that divides both numbers exactly. E.g., the greatest common factor of 10 and 20 is 10. Hexagon - A six sided and six angled polygon. Hex means 6. Histogram - A graph that uses bars where each bar equals a range of values. Hyperbola - One type of conic section. The hyperbola is the set of all points in a plane. The difference of whose distance from two fixed points in the plane is the positive constant. Hypotenuse - The longest side of a right angled triangle. Always the side that's opposite of the right angle. Identity - An equation that is true for values of their variables. Inequality - A mathematical equation containing either a greater than, less than or not equal to symbols. Integers - Whole numbers, positive or negative including zero. Irrational - A number that cannot be represented as a decimal or as a fraction. A number like pi is irrational because it contains an infinite number of digits that keep repeating, many square roots are irrational numbers. Isoceles - A polygon having two sides equal in length. Kilometer - A unit of measure that equals 1000 meters. Knot - A curve formed by an interlacing piece of spring by joining the ends. Like Terms - Terms with the same variable and the same exponents/degrees. Line - A straight infinite path joining an infinite number of points. The path can be infinite in both directions. Line Segment - A straight path that has a beginning and an end - endpoints. Linear Equation - An equation whereby letters represent real numbers and whose graph is a line. Line of Symmetry - A line that divides a figure or shape into two parts. The two shape must equal one another. Logic - Sound reasoning and the formal laws of reasoning. Logarithm - A power to which a base, [actually 10] must be raised to produce a given number. If nx = a, the logarithm of a, with n as the base, is x. Mean - The mean is the same as the average. Add up the series of numbers and divide the sum by the number of values. Median - The Median is the 'middle value' in your list or series of numbers. When the totals of the list are odd, the median is the middle entry in the list after sorting the list into increasing order. When the totals of the list are even, the median is equal to the sum of the two middle (after sorting the list into increasing order) numbers divided by two. Midpoint - A point that is exactly half way between two set points. Mixed Numbers - Mixed numbers refer to whole numbers with fractions or decimals. Example 3 1/2 or 3.5. Mode - The mode in a list of numbers refers to the list of numbers that occur most frequently. A trick to remember this one is to remember that mode starts with the same first two letters that most does. Most frequently - Mode. Modular Arithmetic - a system of arithmetic for integers, where numbers "wrap around" upon reaching a certain value of the modulus. Monomial - An algebraic expression consisting of a single term. Multiplication - Often referred to as 'fast adding'. Multiplication is the repeated addition of the same number 4x3 is the same as saying 3+3+3+3. Multiplicand - A quantity multiplied by another. A product is obtained by multiplying two or more multiplicands. Natural Numbers - Regular counting numbers. Net - Often referred to in elementary school math. A flattened 3-D shape that can be turned into a 3-D object with glue/tape and folding. Nth Root - The nth root of a number is the number needed to multiply by itself 'n' times in order to get that number. For instance: the 4th root of 3 is 81 because 3 X 3 X 3 X 3 = 81. Norm - The mean or the average - an established pattern or form. Numerator - The top number in a fraction. In 1/2, 1 is the numerator and 2 is the denominator. The numerator is the portion of the denominator. Number Line - A line in which points all correspond to numbers. Numeral - A written symbol referring to a number. Obtuse Angle - An angle having a measure greater than 90° and up to 180°. Obtuse Triangle - A triangle with at least one obtuse angle as described above. Octagon - A polygon with 8 sides. Odds - The ratio/likelihood of an event in probability happening. The odds of flipping a coin and having it land on heads has a 1-2 chance. Odd Number - A whole number that is not divisible by 2. Operation - Refers to either addition, subtraction, multiplication or division which are called the four operations in mathematics or arithmetic. Ordinal - Ordinal numbers refer to the position: first, second, third etc. Order of Operations - A set of rules used to solve mathematical problems. BEDMAS is often the acronym used to remember the order of operations. BEDMAS stands for 'brackets, exponents, division, multiplication, addition and subtraction. Outcome - Used usually in probability to refer to the outcome of an event. Parallelogram - A quadrilateral that has both sets of opposite sides that are parallel. Parabola - A type of curve, any point of which is equally distant from a fixed point, called the focus, and a fixed straight line, called the directrix. Pentagon - A five sided polygon. Regular pentagons have five equal sides and five equal angles. Percent - A ratio or fraction in which the second term on denominator is always 100. Perimeter - The total distance around the outside of a polygon. The total distance around is obtained by adding together the units of measure from each side. Perpendicular - When two lines or line segments intersect and form right angles. Pi p - The symbol for Pi is actually a greek letter. Pi is used to represent the ratio of a circumference of a circle to its diameter. Plane - When a set of points joined together form a flat surface, the plan can extend without end in all directions. Polynomial - An algebraic term. The sum of 2 or more monomials. Polynomials include variables and always have one or more terms. Polygon - Line segments joined together to form a closed figure. Rectangles, squares, pentagons are all examples of polygons. Prime Numbers - Prime numbers are integers that are greater than 1 and are only divisible by themselves and 1. Probability - The likelihood of an event happening. Product - The sum obtained when any two or more numbers are multiplied together. Proper Fraction - A fraction where the denominator is greater than the numerator. Protractor - A semi-circle device used for measuring angles. The edge is subdivided into degrees. Quadrant - One quarter (qua) of the plane on the Cartesian coordinate system. The plane is divided into 4 sections, each section is called a quadrant. Quadratic Equation - An equation that can be written with one side equal to 0. Asks you to find the quadratic polynomial that is equal to zero. Quadrilateral - A four (quad) sided polygon/shape. Quadruple - To multiply or to be multiplied by 4. Qualitative - A general description of properties that cannot be written in numbers. Quartic - A polynomial having a degree of 4. Quintic - A polynomial having a degree of 5. Quotient - The solution to a division problem. Radius - A line segment from the center of a circle to any point on the circle. Or the line from the center of a sphere to any point on the outside edge of the sphere. The radius is the distance from the center of a circle/sphere to the outside edge. Ratio - The relation between to quantities. Ratios can be expressed in words, fractions, decimals or percents. E.g., the ratio given when a team wins 4 out of 6 games can be said a 4:6 or four out of six or 4/6. Ray - A straight line with one endpoint. The line extends infinitely. Range - The difference between the maximum and the minimum in a set of data. Rectangle - A parallelogram which has four right angles. Reflection - A mirror image of a shape or an object. Obtained from flipping the image/object. Remainder - The number that is left over when the number cannot be divided evenly into the number. Right Angle - An angle that is 90°. Right Triangle - A triangle having one angle equal to 90°. Rhombus - A parallelogram with four equal sides, sides are all the same length. Scalene Triangle - A triangle with 3 unequal sides. Sector - An area between an arc and two radii of a circle. Sometimes referred to as a wedge. Slope - The slope shows the steepness or incline of a line, determined from two points on the line. Square Root- To square a number, you multiply it by itself. The square root of a number is the value of the number when multiplied by itself, gives you the original number. For instance 12 squared is 144, the square root of 144 is 12. Stem and Leaf - A graphic organizer to organize and compare data. Similar to a histogram, organizes intervals or groups of data. Subtraction - The operation of finding the difference between two numbers or quantities. A process of 'taking away'. Supplementary Angles - Two angles are supplementary if their sum totals 180°. Symmetry - Two halves which match perfectly. Tangent - When an angle in a right angle is X, the tangent of x is the ratio of lengths of the side opposite x to the side adjacent to x. Term - A part of an algebraic equation or a number in a sequence or a series or a product of real numbers and/or variables. Tessellation - Congruent plane figures/shapes that cover a plane completely without overlapping. Translation - A term used in geometry. Often called a slide. The figure or shape is moved from each point of the figure/shape in the same direction and distance. Transversal - A line that crosses/intersects two or more lines. Trapezoid - A quadrilateral with exactly two parallel sides. Tree Diagram - Used in probability to show all of the possible outcomes or combinations of an event. Triangle - Three sided polygon. 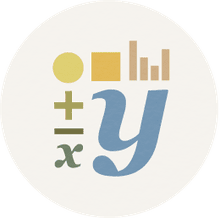 Trinomial - An algebraic equation with 3 terms - polynomial. Unit - A standard quantity used in measurement. An inch is a unit of length, a centimeter is a unit of length a pound is a unit of weight. Uniform - All the same. Having the same in size, texture, color, design etc. Variable - When a letter is used to represent a number or number in equations and or expressions. E.g., in 3x + y, both y and x are the variables. Volume - A unit of measure. The amount of cubic units that occupy a space. A measurement of capacity or volume. Vertex- A point of intersection where two (or more) rays meet, often called the corner. Wherever sides or edges meet on polygons or shapes. The point of a cone, the corners of cubes or squares. Weight - A measure of how heavy something is. Whole Number - A whole number doesn't contain a fraction. A whole number is a positive integer which has 1 or more units and can be positive or negative. X-Axis - The horizontal axis in a coordinate plane. X-Intercept - The value of X when the line or curve intersects or crosses the x axis. X - The roman numeral for 10.
x - A symbol most often used to represent an unknown quantity in an equation. Y-Axis - The vertical axis in a coordinate plane. Y-Intercept - The value of y when the line or curve intersects or crosses the y axis. Yard- A unit of measure. A yard is approximately 91.5 cm. A yard is also 3 feet.